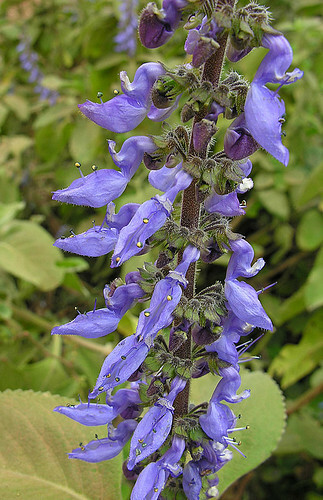 A medicinal species of Africa and India, and planted in Brazil. Here in Malawi it is known as Forskohli, and is a source of Forskolin which messes with peoples hormones and inter-cell communications. Also called the Blue Spur Flower.